Republican presidential candidate Ben Carson defended Rupert Murdoch on Thursday over an inflammatory tweet suggesting that Carson would be a "real black president." Carson called the controversy over Murdoch's tweet "much to do about nothing," during an interview with CNN's Wolf Blitzer. "I know Rupert Murdoch," Carson said. "He's not a racist by any stretch of the imagination. He's just expressing his opinion." 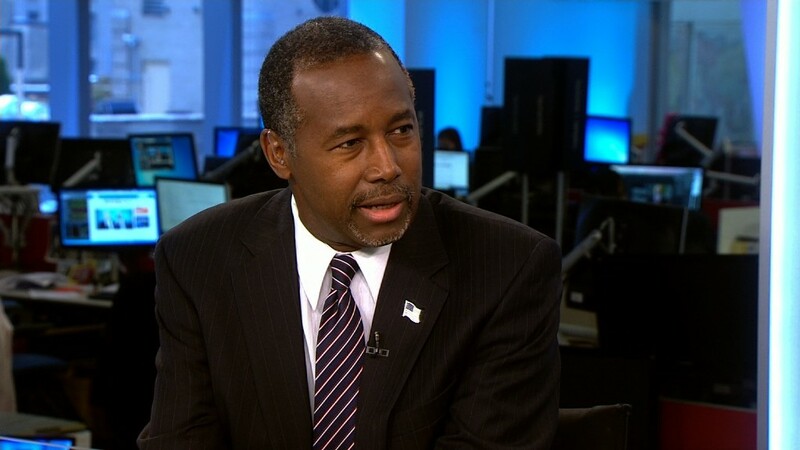 When asked if Barack Obama is a "real black president," Carson said simply, "Well, he's the president and he's black." Carson and Murdoch have had each other's back in recent weeks. Even before he ignited an online firestorm with his tweet, Murdoch has been open about his admiration for Carson. 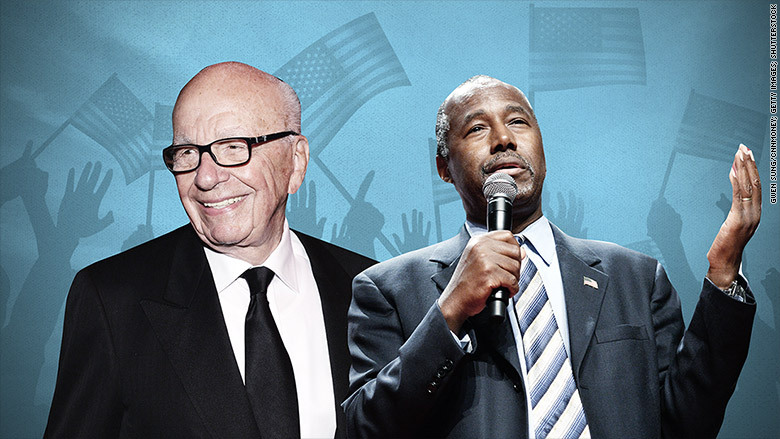 The billionaire media mogul wasn't always convinced of Carson's political acumen. In March, Murdoch called Carson a "[w]onderful character, up from Detroit ghetto." But he lamented that Carson, a former neurosurgeon and a newcomer to campaigning, seemed to be a "political naif." Murdoch doesn't appear to harbor any such concerns about Carson anymore. As Carson has asserted himself as a contender for the Republican presidential nomination, Murdoch's excitement has grown. Seemingly every poll that shows Carson nipping at the heels of Republican frontrunner Donald Trump is greeted with an enthusiastic tweet from Murdoch. "Good to see Ben Carson still gaining," Murdoch tweeted in August. "Wonderful story." In early September, Murdoch gushed that Carson's ever-improving poll numbers perhaps made Carson, and not Trump, "the one to beat." "Irreproachable on background, achievements, character, vision," Murdoch said of Carson. Murdoch continued to heap praise on Carson late Wednesday with the tweet that prompted Carson's defense today. "Ben and Candy Carson terrific," Murdoch said of the candidate and his wife. "What about a real black President who can properly address the racial divide? And much else." He has since apologized for the tweet, which was widely interpreted as a swipe at the racial identity of Obama, the country's first black president. Murdoch, 84, has long been known to weigh in on Republican politics. The owner of Fox News Channel and co-executive chairman of 21st Century Fox, Murdoch's idiosyncratic tweets signal who he likes -- and who he doesn't -- within the GOP. In January, as speculation swirled that Mitt Romney may embark on another White House bid, Murdoch said that the former Massachusetts governor "had his chance and seemed to lack big vision for this country." For the first half of the year, Murdoch appeared to favor Kentucky Senator Rand Paul more than any other member of the Republican field. But Paul's campaign has languished and, lately, no candidate has endeared Murdoch more than Carson. Carson has also seen a steady uptick in his appearances on Fox News, where he used to serve as a paid contributor. According to analysis by the liberal watchdog Media Matters for America, Carson made only five appearances on Fox News in July, when he still polled in the single digits. In August, Carson's Fox News appearances doubled. By the end of that month, he had jumped to second place behind Trump. In September, Carson's airtime on Fox News went up once again, rising to 13 appearances. Murdoch clearly appreciates that Carson is slicing into Trump's once-enormous lead. After Trump's inflammatory remarks about Mexican immigrants, Murdoch said the real estate developer and former reality television star was just "wrong." But Murdoch's admiration for Carson precedes the Trump boom. Back in January, well before the 2016 field had taken shape, Murdoch told his Twitter followers to keep their eyes on one particular candidate. "Very early, but watch Ben Carson," Murdoch said.